With both Alzheimer’s and dementia in my family, I am interested in all research on the subject. Tufts reported the following in its Health and Nutrition Letter. Could a trimmer waistline in middle age help you avoid Alzheimer’s later in life? That’s the suggestion of a study, published in Molecular Psychiatry, from the National Institute on Aging. Researchers analyzed data on 1,394 participants in a long-running study of aging, followed for an average of 14 years, who regularly underwent cognitive testing. A total of 142 participants developed Alz­heimer’s disease during the study. After adjusting for other factors, each additional point of body-mass index (BMI) at age 50 was associated with an earlier onset of Alzheimer’s of 6.7 months. “Our findings clearly indicate that higher adiposity at midlife is associated with a long-lasting effect on accelerating the clinical course of Alzheimer’s disease,” Madhav Thambisetty, MD, PhD, and colleagues concluded. The study was not designed to prove cause and effect, however, and it’s not clear whether the association between obesity and Alzheimer’s risk might begin even earlier. It’s also true that newly diagnosed Alzheimer’s patients tend to weigh less than normal, not more. 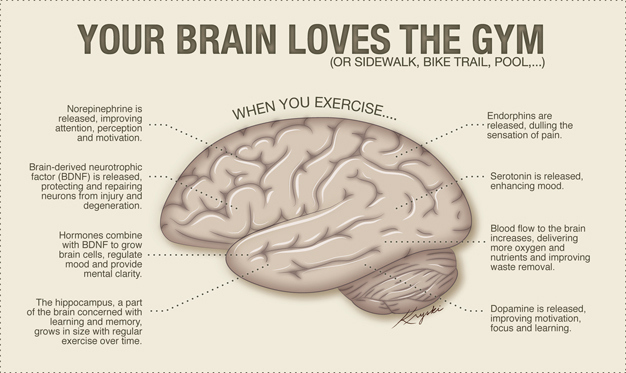 To read further on the subject, please check out my Page – Important facts about your brain – (and exercise benefits). It’s fascinating how ideas tend to flow in groups. All of a sudden I seem to be reading a lot about exercise having a positive affect on the brain (one of my favorite subjects). To explore further into it, check out my Page – Important Facts About Your Brain ( and Exercise Benefits). The latest update in Tufts University’s Health and Nutrition letter said, “Physical activity helps preserve mobility and motor skills as you age – and not just by keeping your muscles in shape. 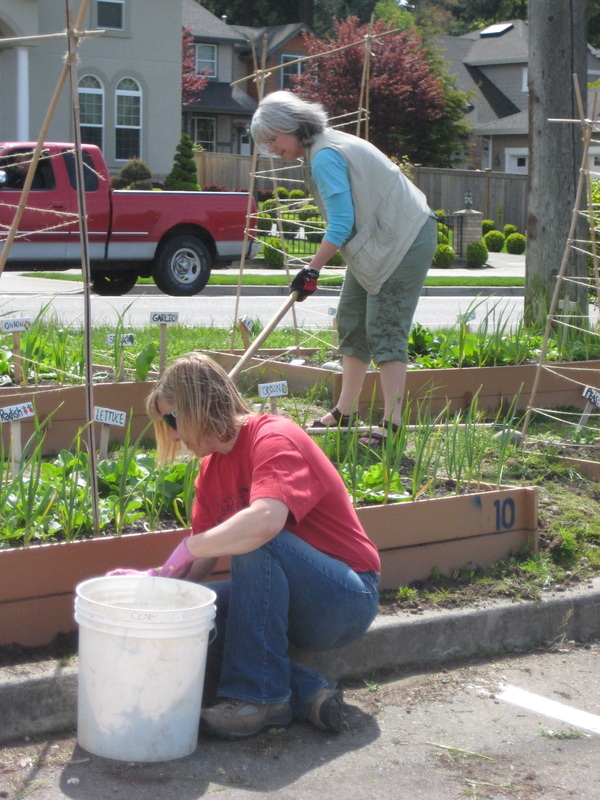 A new study suggests that activity also maintains mobility by protecting your brain. Even in people with signs of brain aging called white matter hyperintensities (WMH) associated with movement issues, being more active seemed to allow the brain to compensate. As the saying (here in America) goes, things happen in threes. I assume that is good things as well as bad. I think of this post as the third in a series of subtle reminders on the benefits of movement, active leisure, good posture, etc. which I have posted about in the past few days. 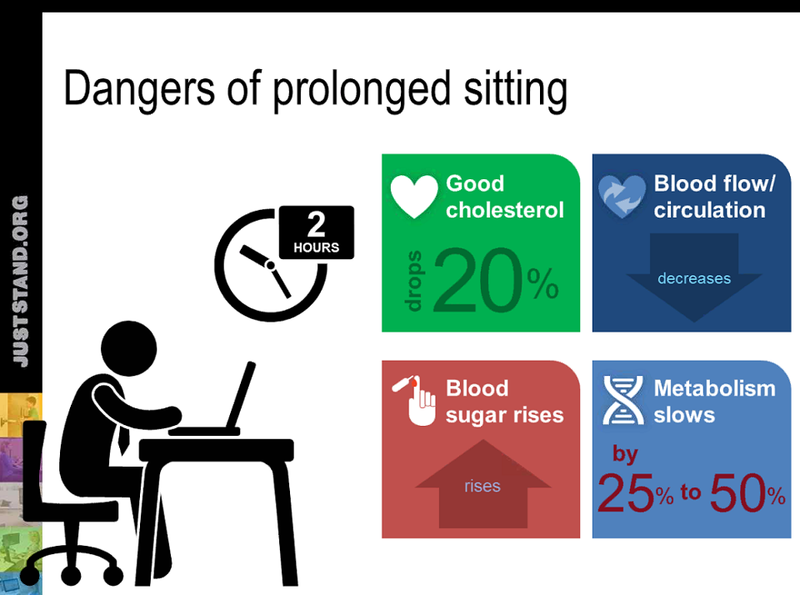 On Sunday, I posted about The Physiologic Link Between Heart Disease and a Sedentary Lifestyle, and on Saturday, the Importance of Good Posture. It is important to remember how much our bodies need activity. Now comes Tufts Health and Nutrition Letter discussing how active leisure improves heart health and longevity.